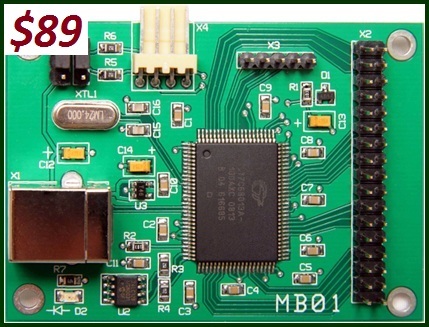 Low Cost compact ganged programmer for serial EEPROM/flash devices. Can program up to 4 devices at the one time. Ideal for the electronics development, electronics hobbyist or light production lines. Simple easy to use application available on all Windows platforms. 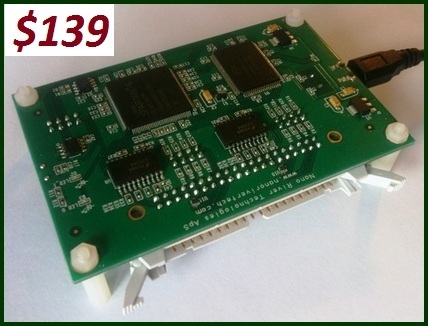 World's fastest USB to I2C/SPI/GPIO adapter and Nano River Technologies premium adapter. 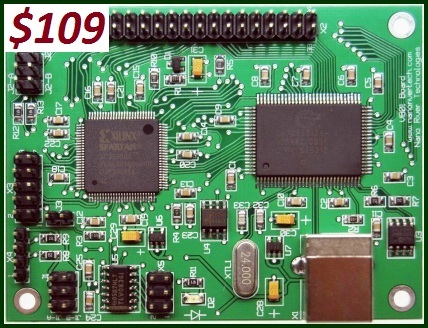 SPI/I2C master and slave with line rates up to 50MBit/sec. 48 GPIOs configurable as digital I/O, analogue input, PWM, single or continuous pulsed. Open source demonstration examples with full professional documentation provided for Windows, Linux or Apple. Nano River Technologies second generation I2C/SPI/GPIO adapter. SPI/I2C master and slave with line rates up to 12MBit/sec. 32 GPIOs configurable as digital I/O, analogue input, PWM, single or continuous pulsed. 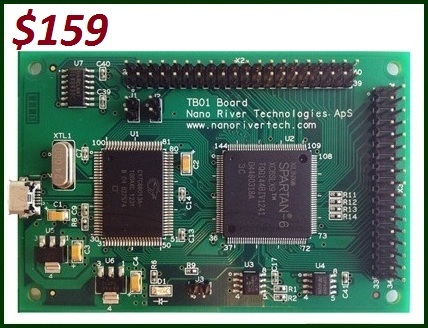 Nano River Technologies low cost first generation I2C/SPI/GPIO adapter. SPI and I2C master with line rates up to 400kbit/sec. 32 GPIOs configurable as digital I/O. 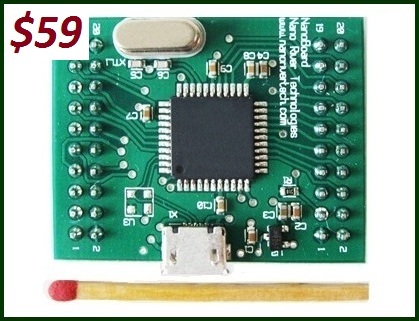 World's smallest I2C/SPI/GPIO adapter module for integration into consumer applications. SPI and I2C master with line rates up to 12MBit/sec. 24 GPIOs configurable as digital I/O, analogue input.